The club has been organized and registered in the Dash Point area since 1907. In the early years the club sponsored dinners, dances and various social gatherings. In recent years our focus has been on the annual Dash Point Dash, Holiday Tree Lighting at the dock and providing scholarship grants to area graduating high school seniors. In 2007 the club recognized our centennial with a community dinner. DPSIC strives to be a good partner with other groups and to participate in various projects and programs that benefit and make our local community a better place to live. Our community’s hearts and love go out to our very dear friends, who are more than just our neighbors. We dedicate this space to those beloved who have recently passed away. 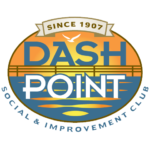 For optimum viewing experience of the new Dash Point website please update your browser to the current version and change your zoom settings. Hover for more information. Chrome: Please go to top right 3 dots on the top right and left click. Above the print you will also see Plus(+) and a Mins(-) sign. Hit the Plus or Minus signs as need to adjust the view as needed to get the best picture and content size for you viewing needs.Then click the help tab and you will be prompted to update your Chrome browser in a new tab. Internet Explorer: Please go to top right settings icon and left click, then just above file, you will see a zoom tab. click on the zoom tab to adjust the view as needed to get the best picture and content size for you viewing needs. Then click "about Internet Explorer" tab on the very bottom to prompt you to update the Internet Explorer browser.